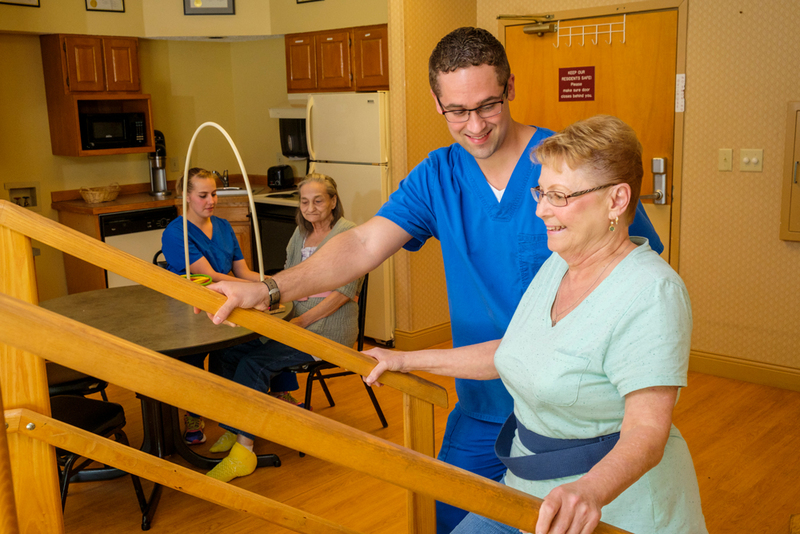 West Park Rehabilitation & Skilled Nursing Center offers inpatient rehab designed for those recently discharged from the hospital due to an illness, injury or surgery. 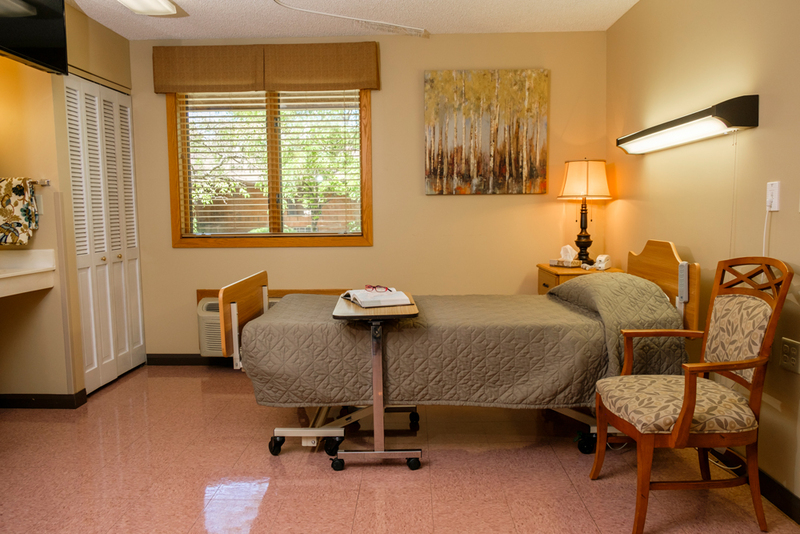 We also offer skilled nursing and long-term care services, as well as specialized memory care. 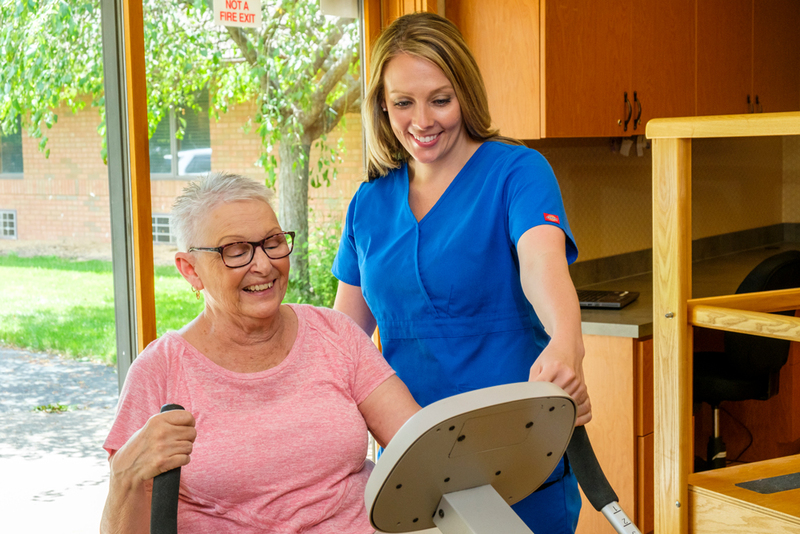 Our Columbus nursing and rehab center combines expert care from our medical and therapy team with a welcoming environment and person-directed programming to provide a holistic healthcare experience. Based on your needs and goals, we create a roadmap that we’ll follow with you to help you enjoy maximum health and wellness. Experience our comfortable, friendly environment by scheduling a tour today. 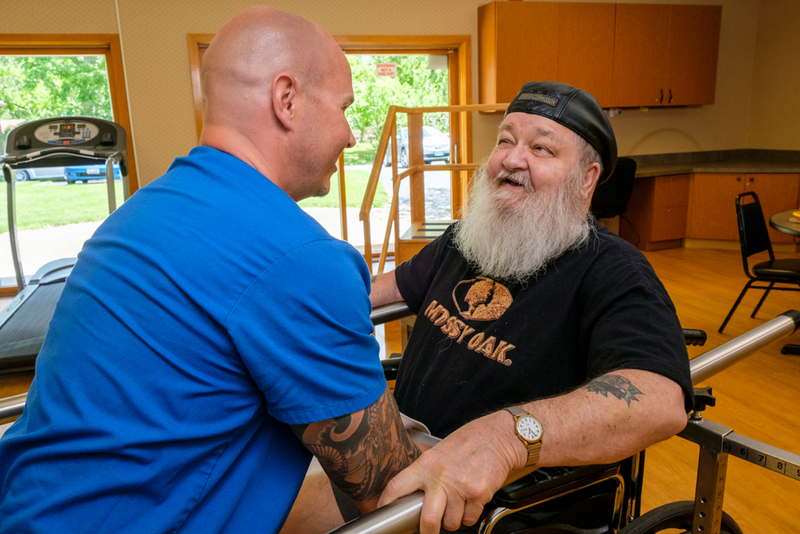 Each person who receives rehab services through our center has a care plan tailored to their situation and goals. The plan is based on an assessment upon admission, your abilities and your input. You’ll work with an interdisciplinary team, including your physician and our therapists, to maximize your recovery. Our comprehensive therapy services include physical, occupational and speech therapy. Throughout your stay, our medical team works with you and your family to provide the tools and education you need to be self-sufficient and successful once you return home. 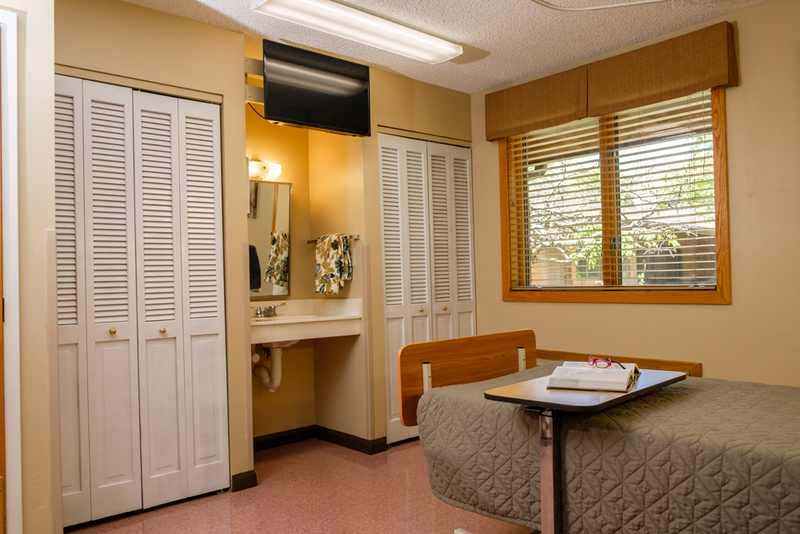 Our extended care community accommodates residents that need a greater level of assistance with daily living tasks. 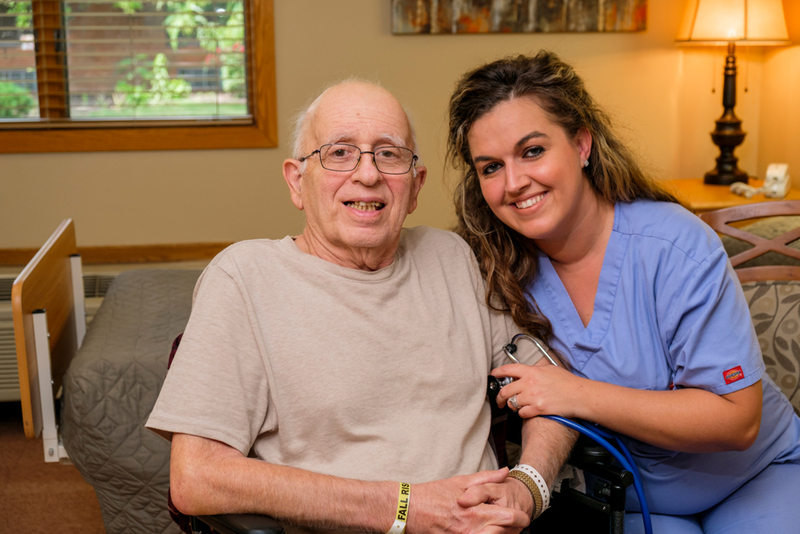 Whether your loved one needs long term care or respite care, you can rest assured he or she will be safe, secure and cared for by compassionate, qualified professionals. A variety of accommodations are available in our Columbus community, including fully furnished private, semi-private and deluxe semi-private rooms, as well as suites. All are equipped with half baths and free basic cable services. 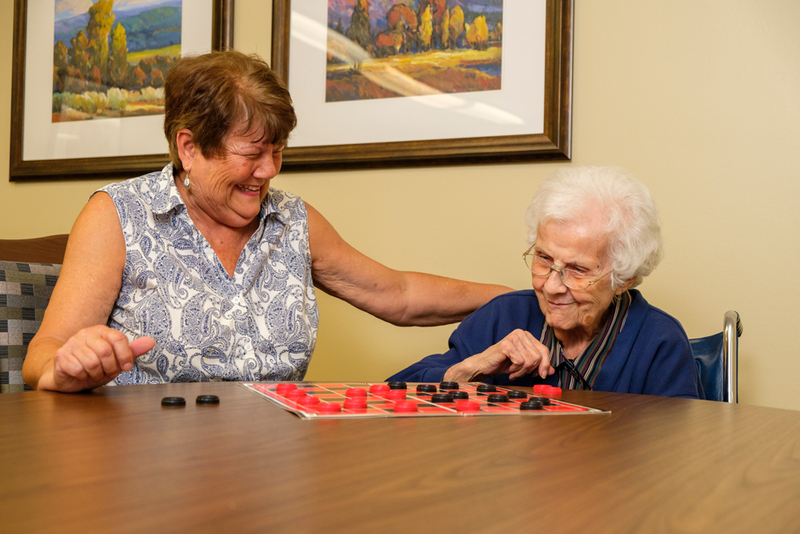 Specialized memory care at West Park is provided in a secure environment that allows each resident to feel safe, independent and comfortable. Our program offers a unique and effective approach to Alzheimer’s and dementia care and was started in 1992 by Tricia Bingham, who is currently the Director of Programs and Services at the Alzheimer’s Association Central Ohio Chapter. In addition to a seasonal menu, we offer alternative menu selections and made-from-scratch dishes to tempt your taste buds. This gives you control and autonomy over the food you choose to eat and provides you with many delicious options. Registered and Licensed Dietitians work together with our Dining Services Manager to assure that, when needed, therapeutic diets are planned and served properly. We’re committed to ensuring that time spent in the dining room is dignified, comfortable and pleasant. Tables are set in a familiar way and plates are removed from their delivery trays upon arrival. The timing of breakfast occurs when the resident wakes up and is ready to eat. Anxiety and worry can detract from your overall health and wellness, so we offer activities and hospitality services that make it easy for you to relax, rejuvenate and recharge at West Park. With social and recreational activities every day of the week, you’ll also have plenty to keep you active and engaged. And thanks to our location at West Park, shopping, restaurants and movie theaters are just a stone’s throw away. "Overall, I had a great experience at West Park! I enjoyed ordering off the Bistro Menu and the food was great! The attention from the staff and therapy was excellent." Our goal is to exceed expectations in all areas of care and service. 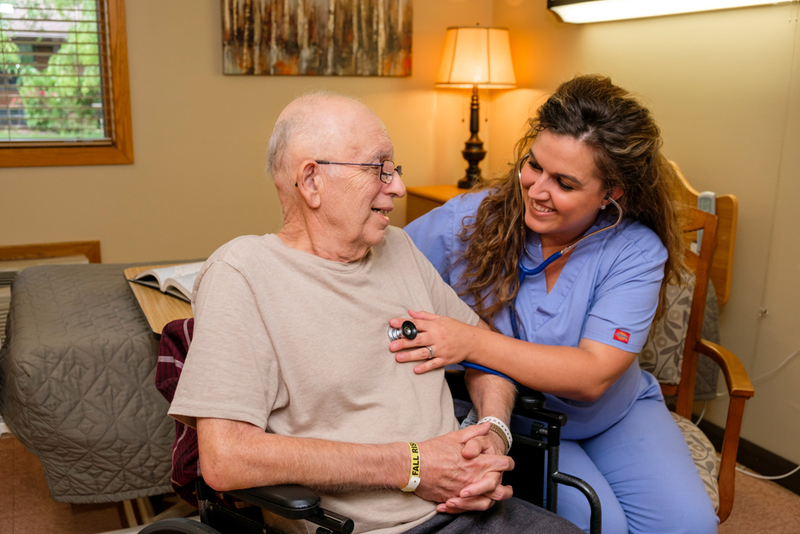 At West Park, our quality measures are based on resident and family feedback, as well as governing entities such as the Centers for Medicare and Medicaid Services and the Ohio Department of Health. Our goal is to exceed expectations in all areas of care and service. 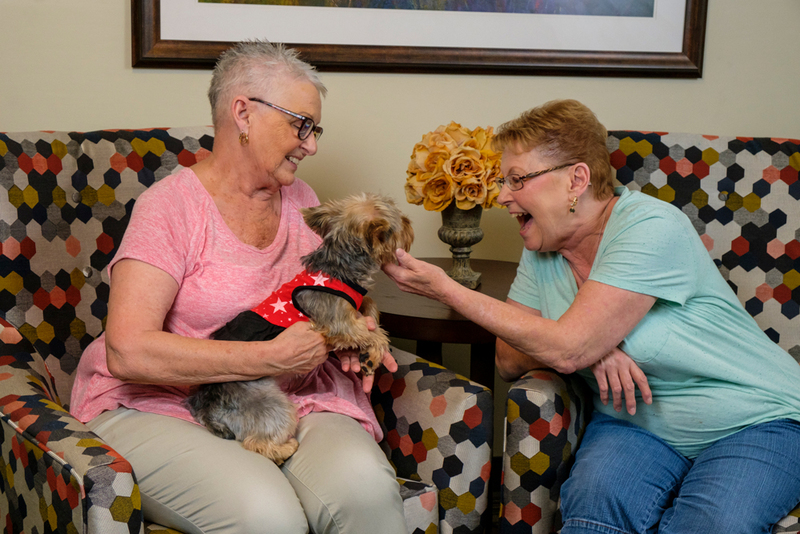 At West Park, our quality measures are based on resident and family feedback, as well as governing entities such as the Centers for Medicare and Medicaid Services and the Ohio Department of Health.The greatest compliment is when our patients appreciate and recommend our services. What’s the difference between inpatient rehab and outpatient rehab? Learn what sets the two apart and which one is right for you or your loved one. There are basic and instrumental ADLs to look out for. Learn what they are and why they’re important when it comes to your parent’s health. 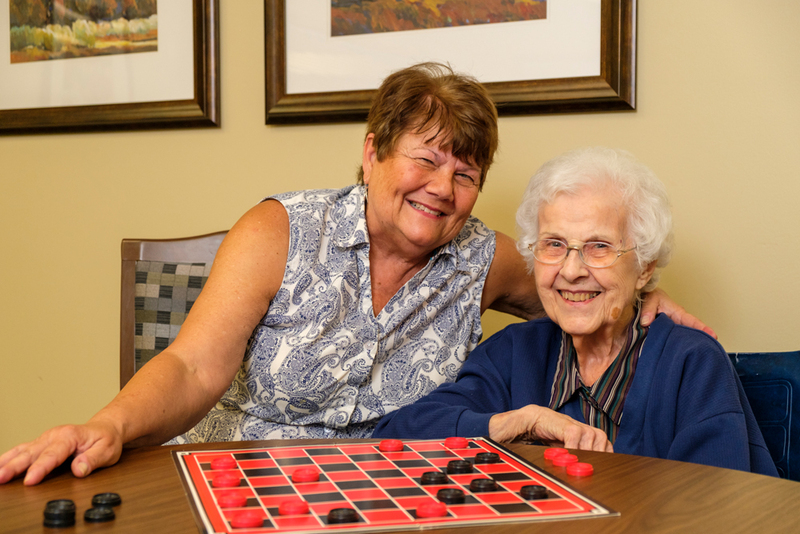 Try this expert advice to make your parent’s move to memory care easier for everyone. 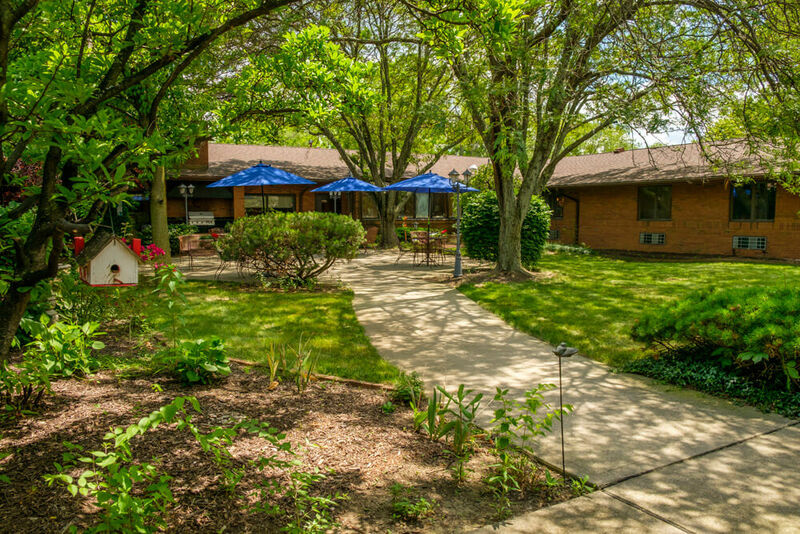 West Park is part of The MacIntosh Company, a locally owned and operated company that offers senior living and care services in the Columbus area. Although West Park joined the MacIntosh family in 2016, this community has provided care to west side residents since 1983 under the name Columbus West Park. Our priority is to provide uncompromised, personalized health care services that go above and beyond your expectations. We work to achieve that mission each and every day by following a set of core values that speak not only to who we are, but what we believe in and how we treat one another.